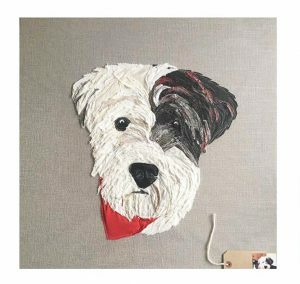 Canvas featuring stylised patchwork portraits of your pets. 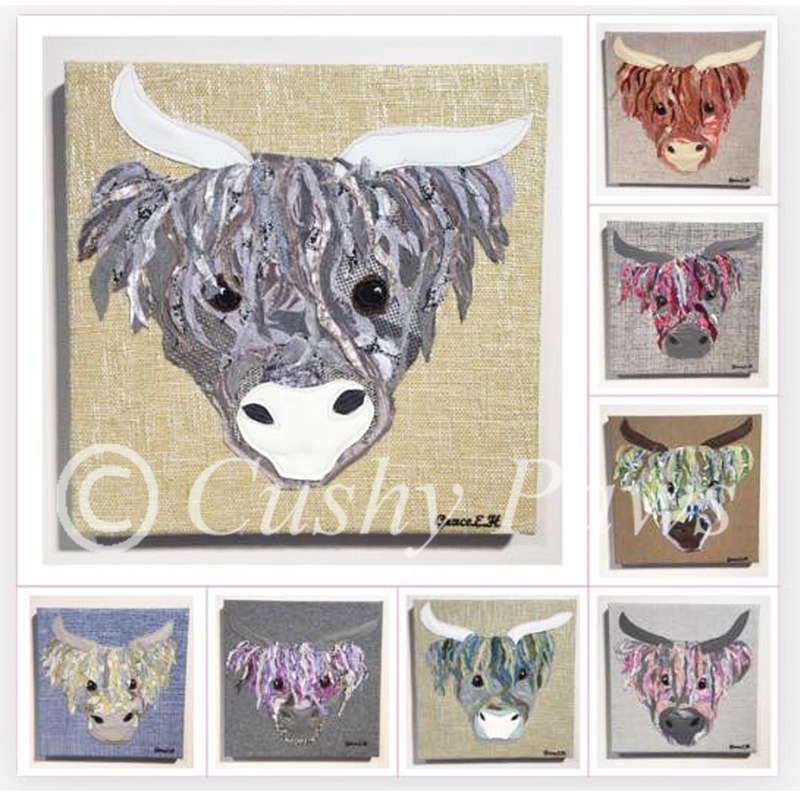 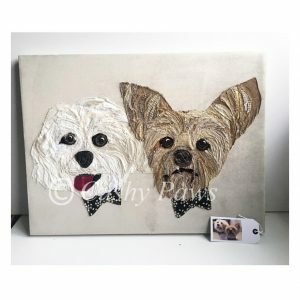 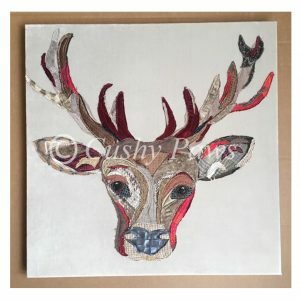 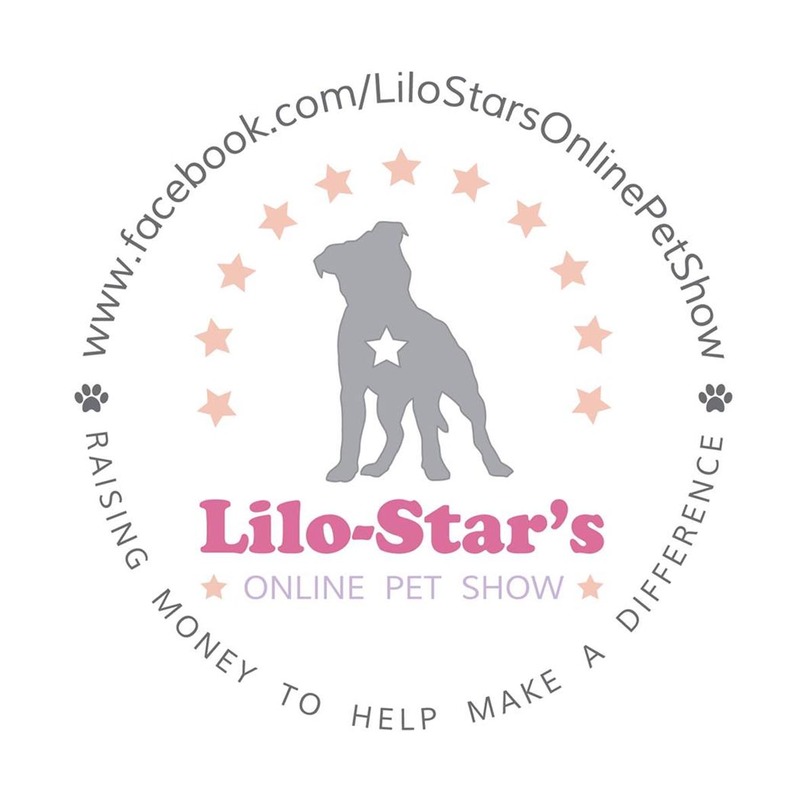 Canvas featuring two stylised patchwork portraits of your pets. 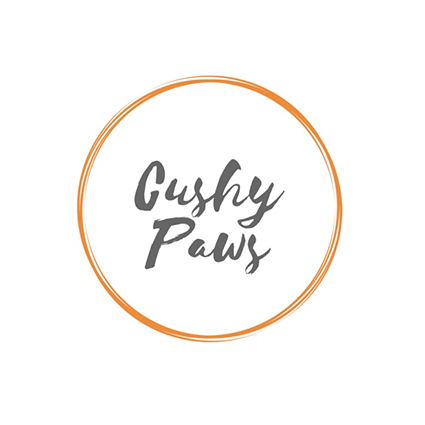 Cushy Paws was born out of the creative mayhem of our family home. 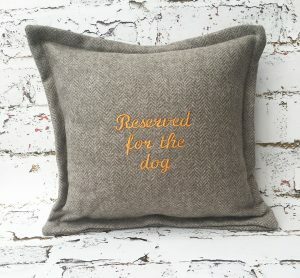 The love for our chaotic and adorable family pets and love of crafts and creativity that runs through the family culminated in these handmade, unique, customised cushions of pet portraits, and as with so many ‘kitchen table’ ideas, the cushions were a big hit with our family and friends and then the word quickly spreading. 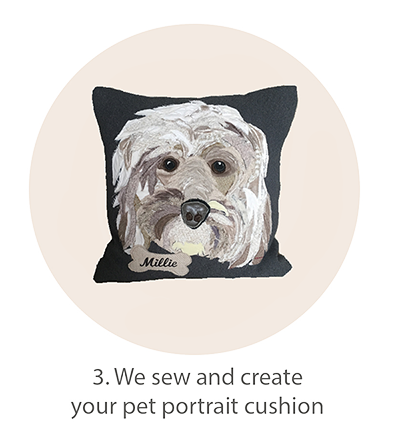 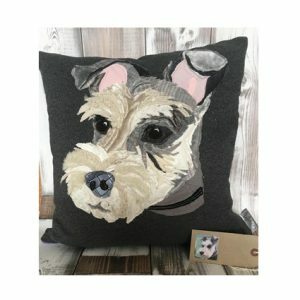 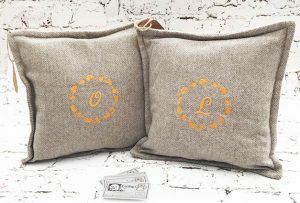 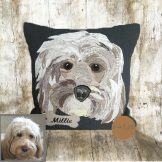 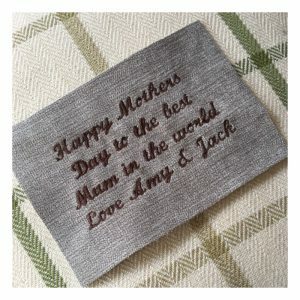 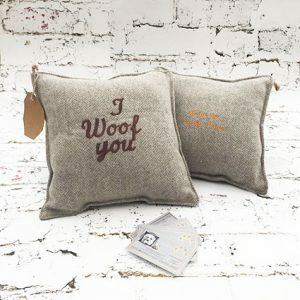 Each cushion is created by replicating the portraits of your pet’s photograph with a patchwork applique technique using various different woven and printed fabrics on a variety of coloured and textured backgrounds, and finished with an eye-catching coloured zip to match the patchwork portrait. 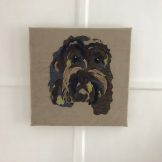 I have been amazed how the individual character of the dogs has been captured in fabrics. 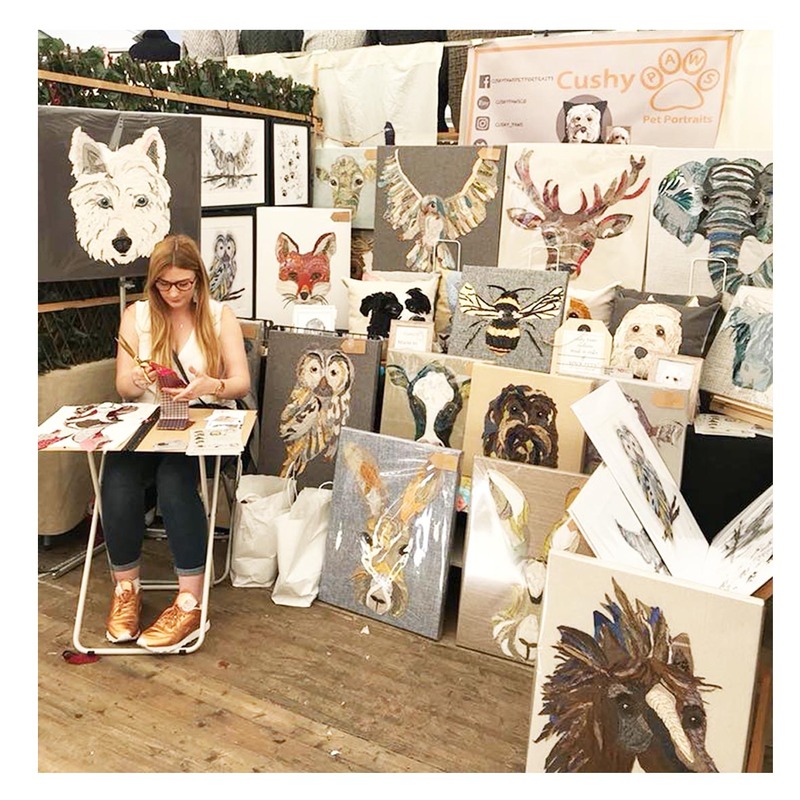 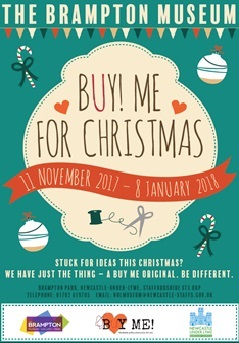 I met Cushy paws at a craft fair and her friendliness and skills shone out! 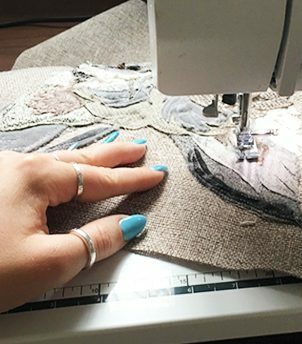 It is so nice to buy something you know has been made with such care. 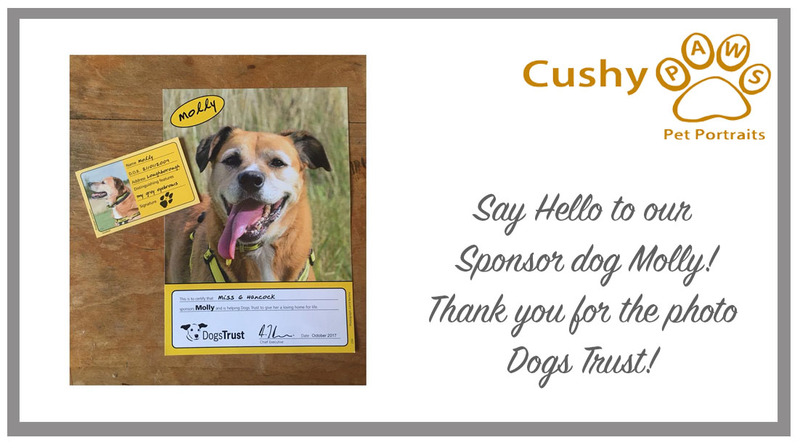 I received my Cushy Paws cushion as a 60th birthday gift and I was completely bowled over by it. 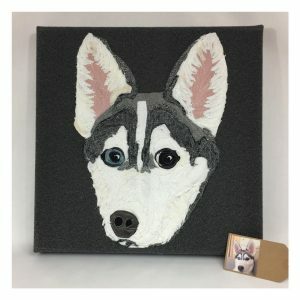 It’s truly amazing and I fell in love with it immediately. 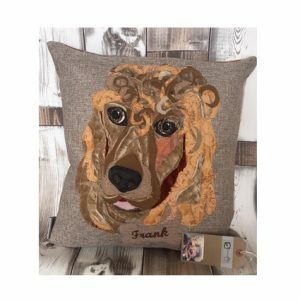 The likeness is so true and the details are perfectly represented. 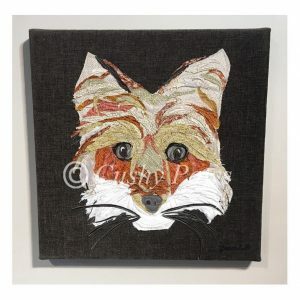 It is very skilfully created and of the highest quality. 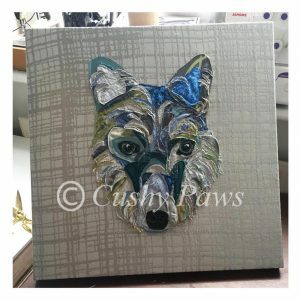 I will treasure it forever. 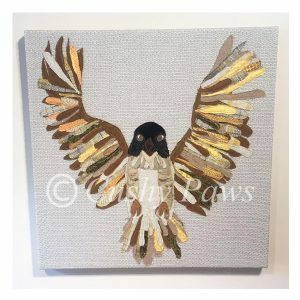 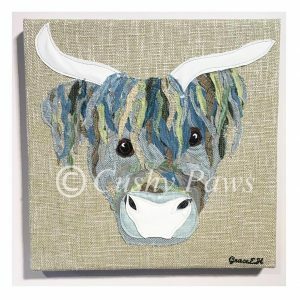 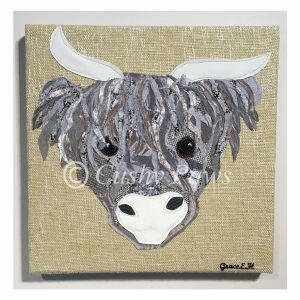 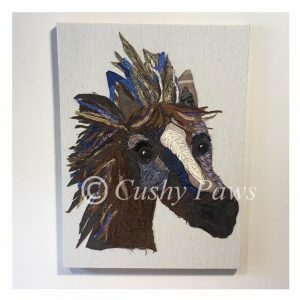 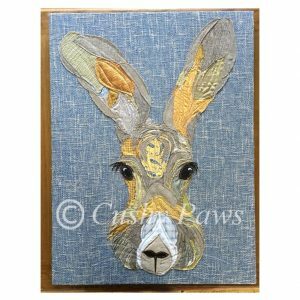 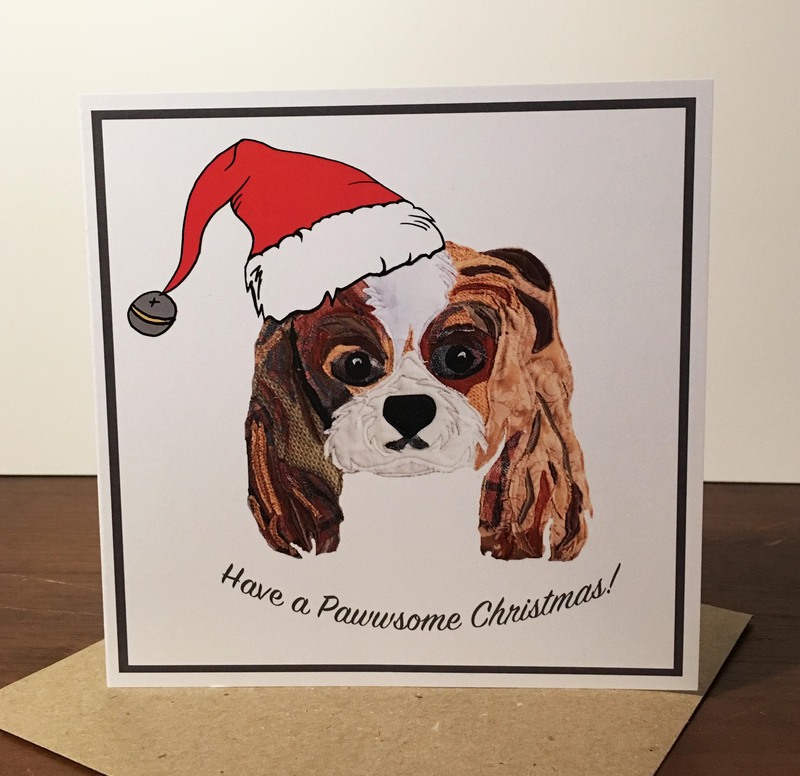 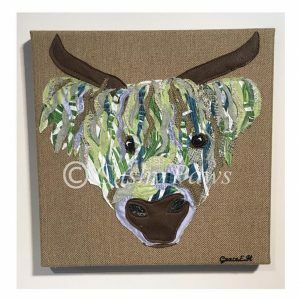 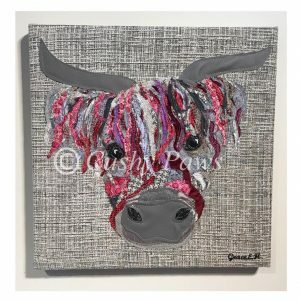 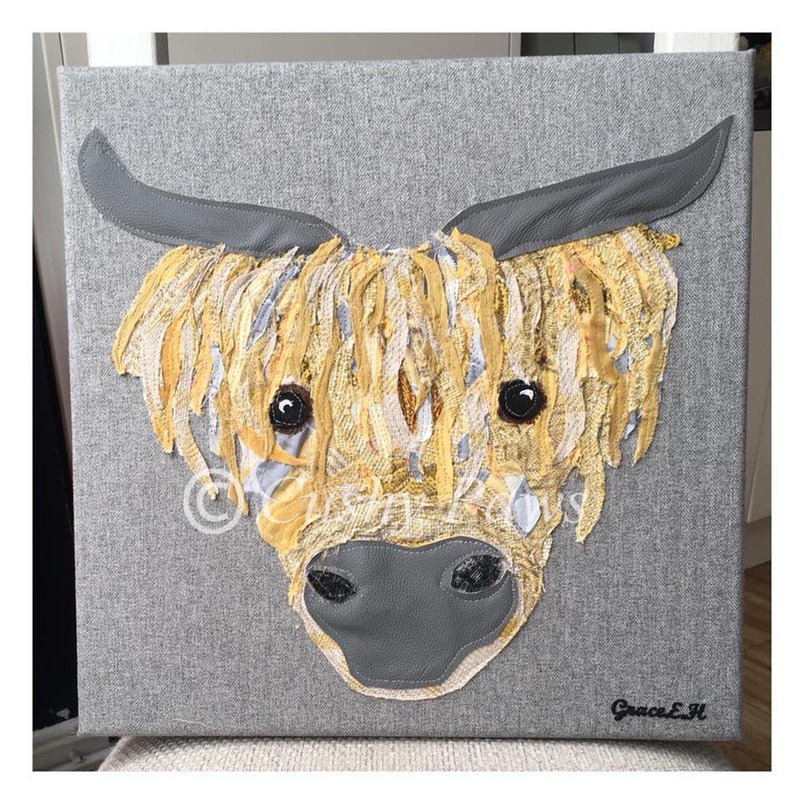 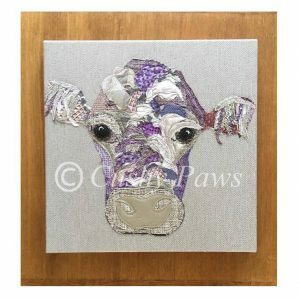 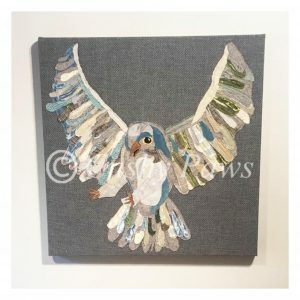 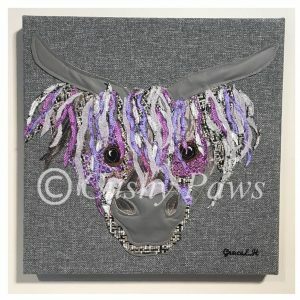 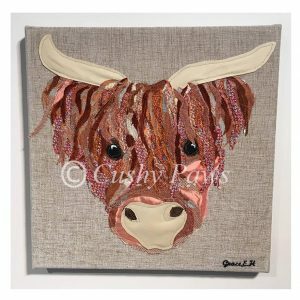 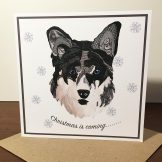 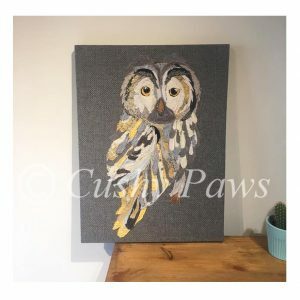 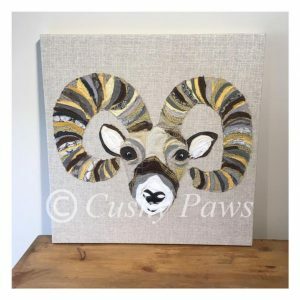 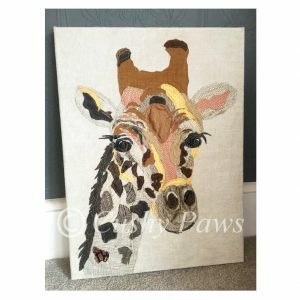 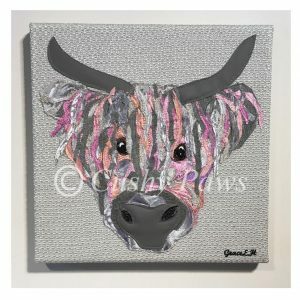 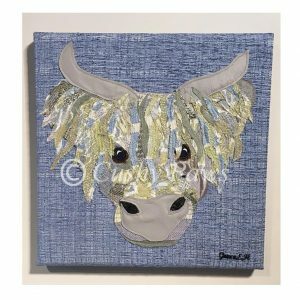 Each patchwork portrait will have a variety of different materials and colours, often reflecting the tones of your pet(s) as well as other colours to compliment and brighten the look and feel of the design. 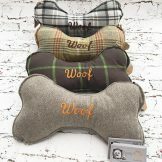 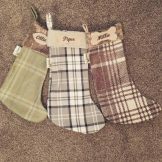 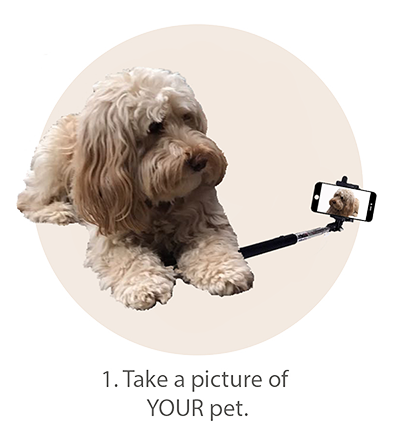 The unique style and technique that makes cushy paws stand out. 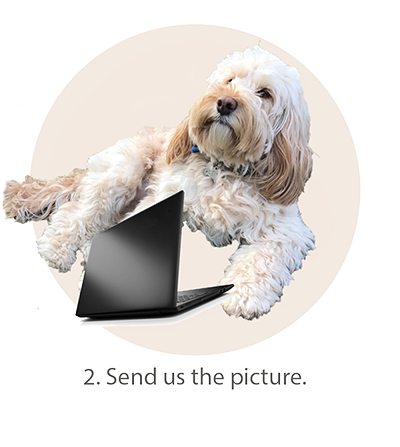 By ticking this checkbox you consent to us storing and using your personal information to get back in touch with you.